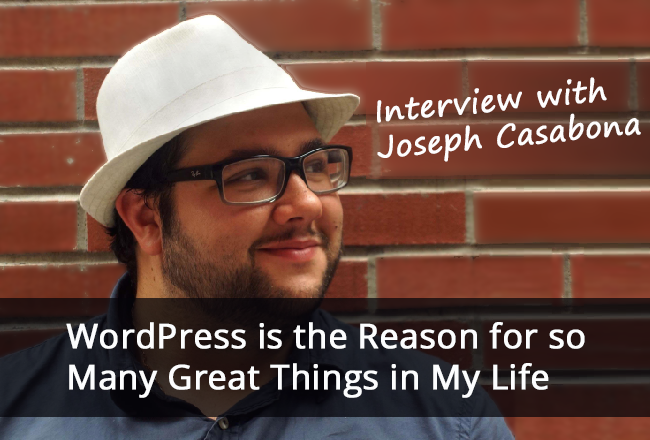 Continuing our Interview Series with the most eminent and knowledgeable people in WordPress industry, today we’ve got the chance to hang out with Joseph Casabona. A full time freelancer, part time professor at the University of Scranton, today Joseph is sharing his thoughts on a couple of topics geared toward the average WordPress user. Enjoy the interview and feel free to leave your name in the comments section. Joseph, a million thanks for accepting my interview invitation. To start – what are 3 things about yourself that you would like to share with our readers? Those that aren’t covered in the Internet…. Hmm this might be tough because I share a lot. Let’s see: 1. I have a bit of an obsession with watches. I have a small collection and a repair kit. Ultimately I’d like to work on my own watches without having to take them to a shop. 2. I started getting into Legos again at 29. I think it provides me with a nice break from computer screens. 3. I secretly wish I could play the piano. Nowadays there is hardly anyone who doesn’t know WordPress, many of us are WordPress users. Do you remember the first time you faced WordPress? What were your impressions and what did WordPress lack at that time? I got in really early with WordPress. I wanted to build my own blogging system/CMS, and my friend Stephen Mekosh showed me WordPress. I fell in love! And this was back before there was native Page support. I see you’re currently running your own agency – do you recommend WordPress to all your clients? Do you consider the software to be a one-size-fits-all solution for any type of website or people should pick the CMS according to their site purpose and targeted audience? Well I did/do freelance on the side (as time permits), but I work for an agency called Crowd Favorite. As a freelancer, 9/10 times I would recommend WordPress as a solution because it’s incredibly flexible. Custom Post Types essentially let you turn WordPress into whatever you’d like, and with some of the advancements they are making (like the JSON API) it’s becoming even more flexible. Could you talk a little about how you see the WordPress CMS evolve over the years? Where do you see the platform going into the next, let us say, 2-3 years time? Do you think we are going to see a lot more in the future? There seems to be a big push in making the data within WordPress available without necessarily pulling it from within a theme. This means that we can have apps or non-WordPress site with WordPress’ database and plugins on the backend. This could be a huge evolution that Matt Mullenweg talked about a couple of years ago: WordPress as an Application Framework. 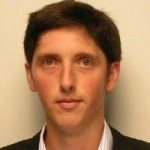 How WordPress has changed your life over time? Imagine – WordPress doesn’t exist any more. What CMS would you stick with and why? WordPress is the reason for so many great things in my life: I’ve written 2 books about it, I did an informal tour of WordCamps last year where I met a ton of amazing people, and I have my job because of it. If WordPress went away, I’d likely use some combination of my own making and Barely CMS by Plain. It’s quite different but I think a lot of it’s strengths come from that. Could you give some piece of advice to those thinking about creating their own WordPress web project, but don’t know where to start? There are tons of great resources out there! I have a book WP Themes from Scrath and there are some great online. A good starting point is probably the WordPress Codex. So, we are moving on to the next question. Can you pass on any advice about learning how to create websites with WordPress? Do you think it is necessary to ring the bell of a developer? If you’re a designer and want to create custom themes, absolutely. Web Development in general is getting pretty complicated these days and it’s starting to require a team of people to do custom work. I think if you want things done correctly, you should get a developer. WordPress is undoubtedly the most popular and talked-about CMS out there with more and more people willing to switch to this platform. As WordPress geek, what is your piece of advice? 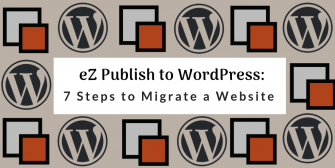 How do you treat an automated way of website migration? Automating site content is a tricky thing and anyone who can do it right has a tip of my hat. 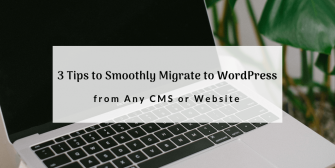 That said, moving from one CMS to another can be an arduous task, and if you can find a good service out there, it’s likely worth your money – it could save time and heartache. Do you think that keeping the same design is an important part of migration from one platform to another? Jared Spool used to give a talk about how a complete redesign of a site is bad UX because it takes any knowledge users had about the site and throws it away. I think if your design works for your site and your users, yes, keeping it is important. Please, tell our readers and subscribers something about what you currently do? Any projects that keep you busy? Aside from the day job, I have a couple of projects in the works revolving around some of my interests like Star Wars, and Cigars. My most public project right now is a responsive WordPress theme I’m working on called Parsec. What are your words to end our conversation here and any message or suggestion to the WordPress lovers? Like anything in the field of computing, WordPress continues to evolve! It may seem hard or frustrating to keep up with how quickly things move, but that’s half the fun. If WordPress is something you’re passionate about, stick with it. We have a great community and tons of ways to get involved. 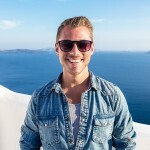 A million thanks to Joseph for taking the time to discuss WordPress issues with us. Keep reading our ongoing Experts Interview Series with a lot more eminent experts to be invited soon. P.S. Left with a strong desire to switch to WordPress? Then look no further than CMS2CMS automated migration service to perform the conversion as seamless and error-free as possible. Find more detailed information here and try your Demo Migration without any delay.